Theatre in the Square has been invited to perform at The Minack Theatre, on the cliffs at Portcurmo since 1968. This provides an opportunity for a week’s performance in an unusual and very special setting with the sea as a backdrop and an audience of up to 800 at each performance. 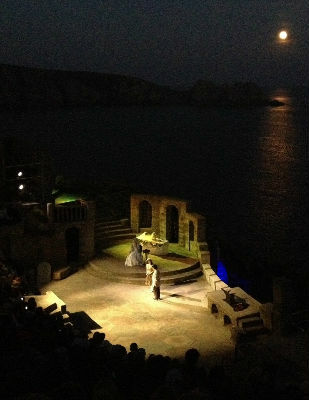 We have taken a very varied selection of plays to Minack and played in front of over 70,000 people during this period. The Minack Theatre is a very special theatre and one of the most famous open air theatres in the world. It can be found on the cliffs high above the Atlantic ocean at Porthcurno in Cornwall. Each season, which runs from May until September, they arrange a programme that encompasses the full range of theatrical entertainment. The theatre is open all year round for visitors to explore this amazing place. In addition to the theatre, there is an exhibition centre, that tells the incredible story of Rowena Cade who created the theatre, spectacular sub-tropical gardens, with plants that would not be out of place in the Canary Islands or South Africa, a gift shop and a café, with the 'best view in the world' and the best of Cornish food. Our first production in 1968 was Arthur Miller's 'The Crucible' (which we repeated in 1995) and we returned the following year with 'The Rose Without a Thorn'. Since then we have performed ''Tis Pity She's a Whore' (1971), 'Abelard and Heloise' (1973), 'Time Remembered' (1974), 'The Royal Hunt of the Sun' (1975). 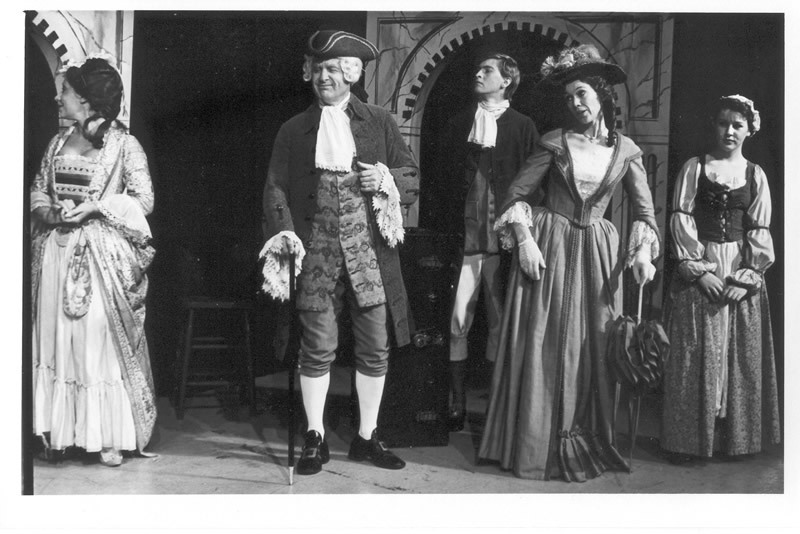 'The Beaux Stratagem' (1977), 'Mary Stuart' (1980) and 'Richard of Bordeaux' (1982). In 1984 the group's original musical production of 'The Rivals' won the Minack Cup, awarded by the theatre to the best performance that season. In 1987 we performed 'Don Quixote' and returned in 1989 with 'The Shaughraun' and 'The Provok'd Husband' in 1991. Our 1995 'Crucible' was followed by 'The Devil's Disciple' (1997). The new millennium saw a series of productions directed by John Wheeler; 'The Sea' (2000), 'On the Razzle' (2003), 'Silas Marner' (2006), 'They Came to a City' (2008) and 'Our Town' (2011). We were proud to return in September 2014 with our production of 'Great Expectations' by Charles Dickens, adapted by the director, Robert Alderman. It was our 22nd production at Minack. We are looking forward to returning in 2017 with our production of Cyrano de Bergerac. Going to Minack is always a testing experience for the group, its actors and crew. But the rewards are worth all the effort. 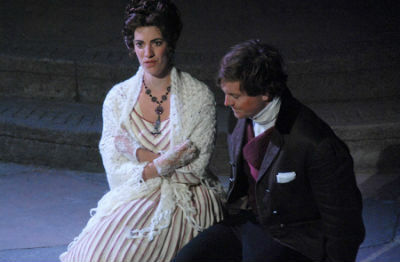 The testimony is that members who earn the privilege of performing on the Minack stage can't wait to return.